Here you can find a strain description about Ascension and also some user-based reviews and infos directly from the SeedFinder (if available). 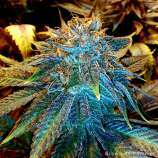 You can also find the offers and auctions here if Ascension cannabis seeds are on stock at MyCannapot right now. Ascension will bring you garden happiness and health. In order to ascend, we must develop a holistic mindset of our world. When we consider decisions and thoughts from multiple perspectives, we gain a universal consciousness which is beneficial for our planet. As a species, we must gravitate towards synergy and create sustainable systems. Both the Breakout, 3A female, and the Grape Puff, 3D male, were selections from our outdoor garden. Both have been bred and raised in a completely probiotic garden, original seed stock from the Joseph stud. We are excited to bring this exciting flavor to the world, with purple trichomes and an endless fruitbasket of flavors. Some phenotypes reek of grape candy while others lean more towards blueberries with a slight skunk spray. Expect large colas with a bit of a stretch. We recommend creating a big bush in vegetative stage before flowering. These plants can feed and love attention from the grower. Buy Ascension now at MyCannapot!